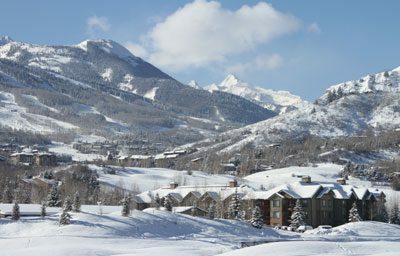 The Village at Castle Pines has taken the beauty and remoteness of mountain living and conveniently located it just south of Denver. Enjoy mountain resort life without the mountain commute! Destination towns like Boulder, Golden, and Colorado Springs are less than an hour away. Love skiing? Hiking? Whitewater rafting? Fishing? Ziplining? The Colorado outdoor lifestyle is easy when you’re a short drive from the I-70 Mountain Corridor. The world’s best skiing and hiking is in your backyard. Colorado boasts more microbreweries per capita than any other state and is home to more than 90 distilleries. Coloradans also fancy themselves as “foodies”, so there is always a new restaurant to try. There can be no doubt that Colorado is one of the best places to call home, and The Village at Castle Pines is right in the heart of it all.